So last weekend I was down in Liverpool for the Summer Arts Market!! Getting up Saturday morning at 5.30ish wasn't all that much fun, but we were soon on the road, with a rather full car on our way to Liverpool! Liverpool is one of my favorite cities, I see it as a mini London but even nicer, and I do love being near the sea! We arrived outside St Georges Hall with plenty of time (for a change) and uploaded and set up. Gosh it's lovely in there isn't it? I've never been in before and it was just spectacular with those high decorative ceilings and stained glass windows telling stories....Here are a few photo's from the day, I didn't take enough as usual but there are some! Next up the wonderfully talented Becka Griffin! She uses watercolour and ink, and drawings to create her prints and greetings cards. 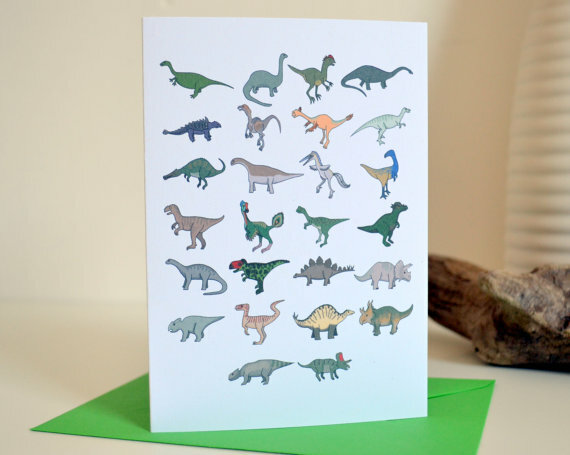 At the end of Sunday we did a little card swap with, everyone knows I'm a sucker for dinosaurs!! Below is one of my favorites from her range of work! And last but certainly not least there was the amazing Lyndsey Green who is also a fellow lover of foxes and all things woodland! I had to treat myself to one of her little notebooks, just too nice not to!! There was so much more loveliness at the market but these were just my personal highlights. The whole thing was run amazingly well, the stands everyone did were amazing and I just hope I can get into the Christmas one!